Students at the Presque Isle Regional Career and Technical Center study drafting and engineering technology. Students in the program are now eligible to earn college credit from the University of Maine. The Democratic-controlled Maine Legislature is swimming in a more than $1.5 billion sea of bond proposals. Many of those ideas, like the push to expand internet access in rural communities or promote land conservation, involve worthwhile investments for the state. But, as with any spending or borrowing debate, there’s only so much money to go around. Gov. Janet Mills’ proposed two-year budget anticipates less voter-approved borrowing than the previous two years, and would dedicate two-thirds of that bonding to the Department of Transportation. That means the host of other borrowing proposals will be pared back before going before voters as a bond question. As legislators weigh the various bond bills, Maine’s lingering workforce challenges should be front and center in that consideration. With employers continuing to decry a lack of skilled workers — and a mismatch of skills and available jobs — more must be done to prepare Maine students for today’s economy. Investing in our career and technical schools around the state, as a bond proposal from Rep. Ryan Fecteau would do, is a good and needed step. 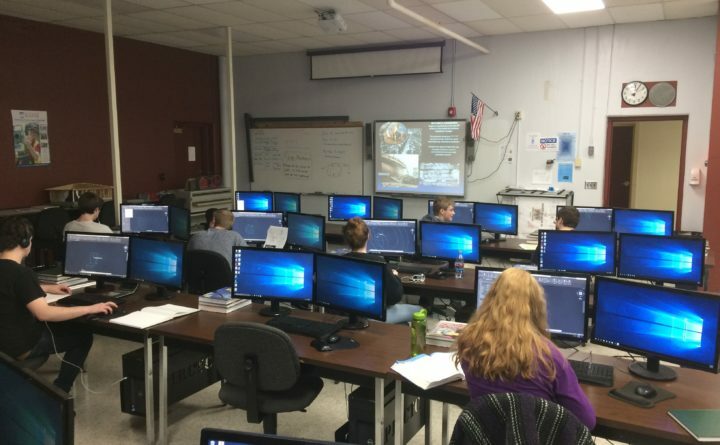 Maine’s career and technical education (CTE) network — sometimes referred to as vocational education — includes 27 schools from Sanford to Frenchville that provide technical and occupational skills instruction with a focus on career readiness. These institutions have largely provided training and learning opportunities to high school students over the years — but programs are increasingly expanding to middle school students as well. These centers play a critical role in equipping Maine students with skills to succeed — in areas such as computer programing, construction, and nursing — and as the economy and workforce needs evolve, so too must our CTE programs. According to a 2016 policy brief from Educate Maine and the Maine State Chamber of Commerce, Maine’s CTE enrollment is lagging behind the national average. While 50 percent of students nationwide were involved in some way in CTE, only 14 percent of Maine students took at least one CTE offering. Nationally in 2016, 12 percent of students concentrated in CTE compared to 6 percent in Maine. Clearly, we can do better. As Fecteau, a Biddeford Democrat with one of the CTE centers in his home district, points out, it has been over 20 years since Maine voters had a chance to invest in this system through referendum. Voters overwhelmingly approved $5 million in bonding for capital expenses at vocational schools in 1998, according to the Secretary of State’s Office. Fecteau has been pushing for several years to bring the issue back to voters, and he’s right to do so. As Fecteau, assistant leader of House Democrats, told the BDN, a critical first step in improving CTE programing and availability is investing in facilities and equipment. The need to invest in workforce development “transcends every part of the state,” he said. His legislation, LD 859, which has dozens of cosponsors, including would authorize a $40 million bond question with the money used for capital and equipment upgrades at the CTE centers. Maine voters rightly provided strong support at the polls last November for $49 million and $15 million investments in the University of Maine and Maine Community College systems, respectively. They should also have an opportunity to decide if the CTE system, which lays important groundwork and provides pathways to college, deserves similar capital investment. Encouragingly, Fecteau’s bill has garnered over 100 cosponsors, with support from members of both Democratic and Republican leadership including Senate President Troy Jackson, Speaker of the House Sara Gideon and House Republican assistant leader Trey Stewart. This investment in a skilled Maine workforce should be toward the top of the pile as lawmakers put together a borrowing package.